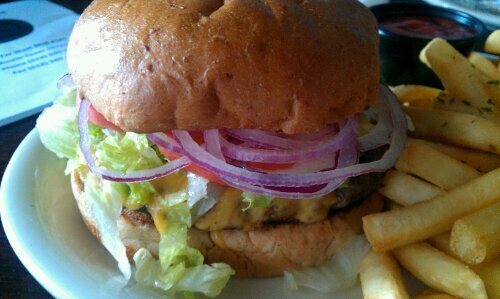 Finally had a burger at this new spot up on Far West. It’s the sibling of the NeWorlDeli on Guadalupe. 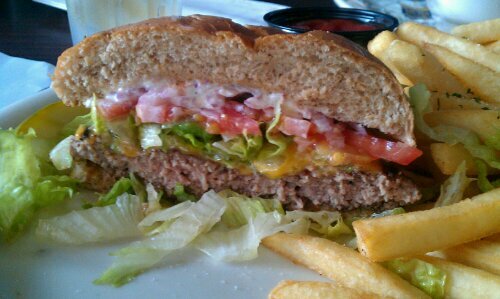 Burger was tasty–real cheddar available, lots of fresh veggies, a mound of thinly sliced red onion, and a homemade-tasting bun (did not confirm homemade-ness) . Fries bland, typical frozen afterthought fries. Skip those in favor of a soup or something. 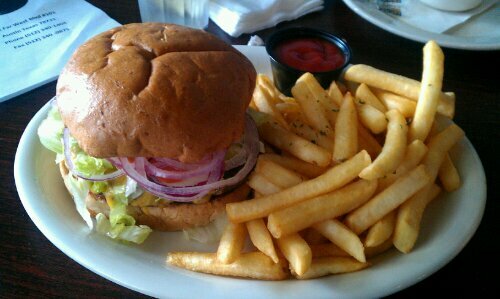 Won’t hesitate to order the burger again, but will skip the fries next time.